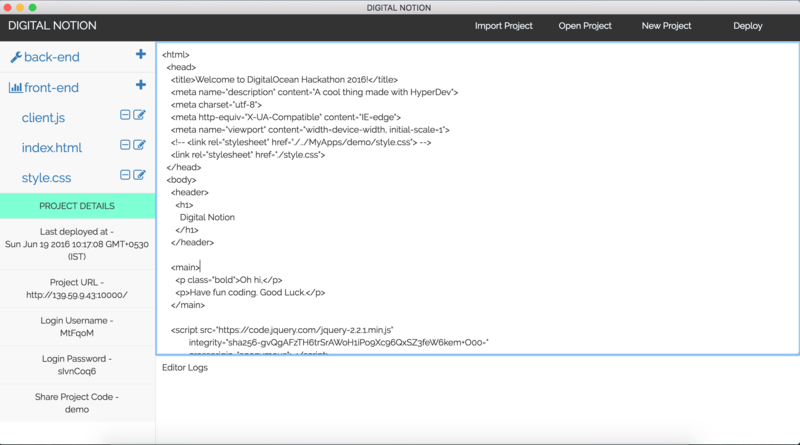 GitHub - psantwani/digital-ocean-hackathon: An IDE with continuous code deployment and code snippets. Built on Electron. Winner Project. An IDE with continuous code deployment and code snippets. Built on Electron. Winner Project. Want to be notified of new releases in psantwani/digital-ocean-hackathon?